As CEO of Accenture, I am not French anymore. When I'm in India, I am Indian. We are a company with no physical headquarters. We operate on a virtual level. 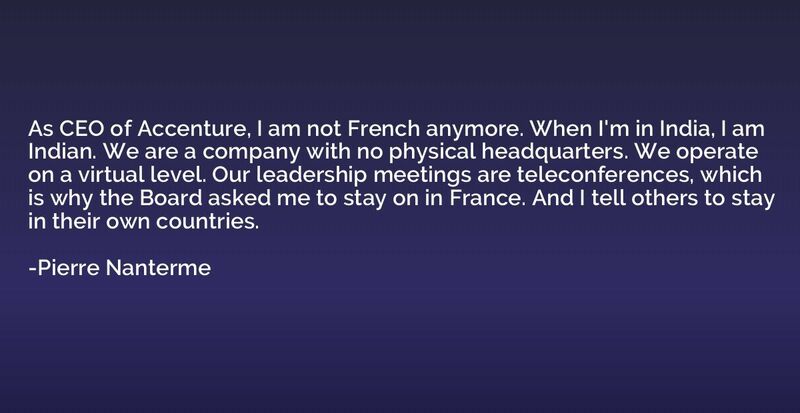 Our leadership meetings are teleconferences, which is why the Board asked me to stay on in France. And I tell others to stay in their own countries.